“Biker Belles represents many positive elements of the motorcycle community - encouragement, empowerment, mentorship and charity. When we created the event in 2009, we’d hoped it would change people’s lives for the better, and it’s amazing to see nearly a decade later how much it truly has. Each year the passion, diversity and spirit of this group has inspired amazing and unexpected connections and growth among participants and the community as a whole. I can’t wait to see where the Biker Belles takes us in the years to come, and I hope you will join us on the journey." 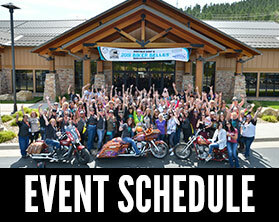 Experience a day of Real Riders, Real Stories and Real Passion during the historic 11th annual Sturgis Buffalo Chip® Biker Belles Celebration. On Tuesday, Aug. 6, from 8:00 a.m. to 2 p.m., you’re invited to join a day of relaxing and uplifting festivities that celebrate women in riding and support organizations benefitting women’s causes. Reserve now to get upgraded to the 5 Star Package! 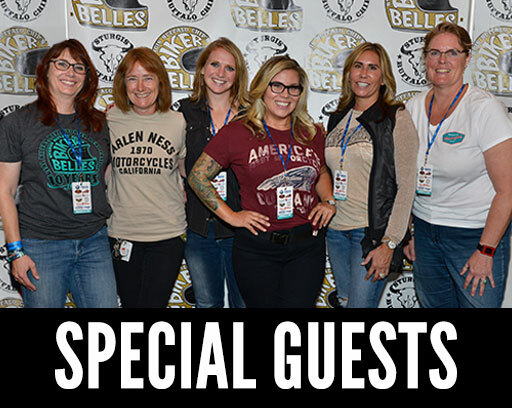 The Women & Wheels™ Bike Show presented by the Wild Gypsy Tour that coincides with event registration allows you to see some of the coolest female-owned bikes and learn the stories behind them. The Biker Belles Morning Ride™ will lead you on a guided journey through the beautiful Black Hills from the Buffalo Chip to The Lodge at Deadwood. Here, leading industry women will discuss their experiences with motorcycling during the inspiring symposium. You’ll have more opportunities than ever before to pamper yourself at The Lodge by visiting the Comfort Zone by Team Diva. Take advantage of this well-deserved opportunity to discover and experience new beauty care, fashion wear and riding gear made specifically for women in this retreat area! Enjoy a delicious catered lunch while taking in stories from our symposium panelists. While you’re there, be sure to check out the phenomenal auction items and place your bids. 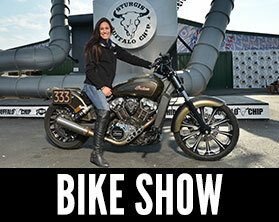 The Sturgis Buffalo Chip created the Biker Belles for two complementary purposes. To raise awareness of the passion, diversity and spirit of women in motorcycling, celebrating women’s role in shaping the culture, art and history of motorcycling. To use the event to raise funds for local charities that would be of particular interest to these very women. This charity event has been raising monies for worthy causes since its inception in 2009. Your contribution in 2018 will help the Biker Belles continue its mission of charitable giving. All—men and women, riders and non-riders—are welcome to join this gathering of mentorship and sharing. Participants are asked to make a $65 contribution to join the festivities, 100 percent of which directly benefit two South Dakota charities that benefit women-related causes, Helping with Horsepower and the Sturgis Motorcycle Museum & Hall of Fame. Don’t miss your opportunity to gather, ride and share stories during the 2018 Biker Belles event. Reserve your place now! To stay up to date on everything Biker Belles, be sure to subscribe to the Sturgis Rider® News Blog and follow the Biker Belles on Facebook! The Biker Belles legacy began 11 years ago with a vision to create a women’s charity ride. The idea later blossomed to become much bigger and broader with the involvement of a group of women who wanted to make a difference. Hall of Famers Gloria Struck, Cris Sommer Simmons and Laura Klock, along with ride expert Meg McDonough, all wanted to elevate their support for women in motorcycling and encourage new riders into the sport and lifestyle they themselves knew and loved so much. Motorcycling had been a vehicle for change in the lives of these women, so they felt called to improve the event to recognize those who paved the way, raise funds to support the preservation of this history and build up the lives of the next generation of young girls in the local community. 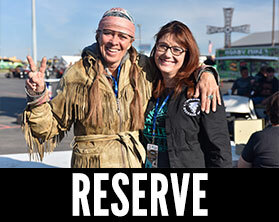 The Sturgis Buffalo Chip shared this vision, and so a symposium was added, the Comfort Zone and silent auction was created, and later Ambassador Diva Amy Skaling and Ride Safety Captain Vicky Roberts-Sanfelipo joined the celebration. In 2016 Kelly Yazdi brought the Wild Gypsy Tour women to the circle. 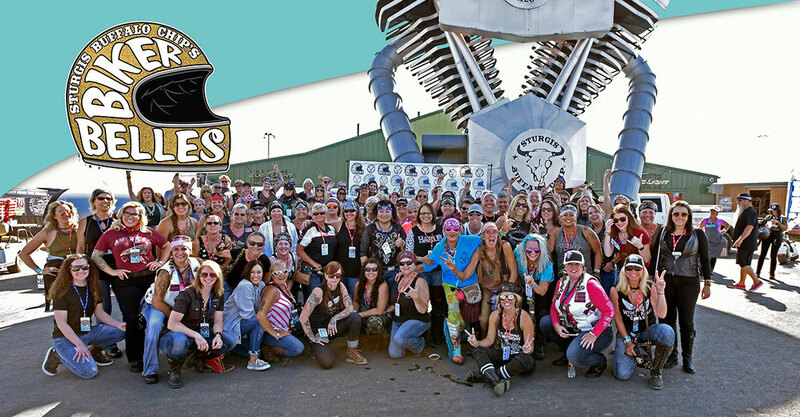 The Biker Belles community continues to grow and has earned the reputation of the home for women coming to Sturgis for the rally. 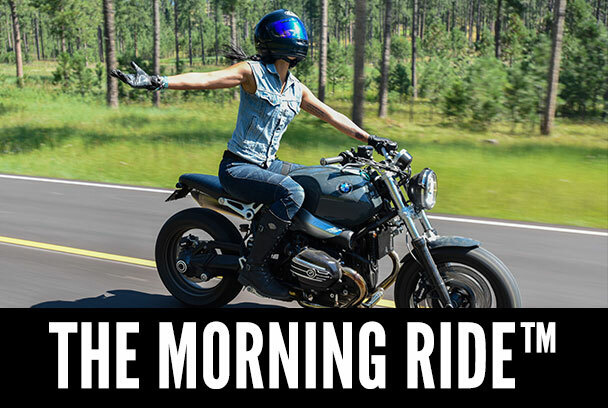 What started out as a women’s ride every year has now expanded to a day-long event for everyone—women, men, riders, passenger riders, non riders—to celebrate and support women and their role in the sport of motorcycling. 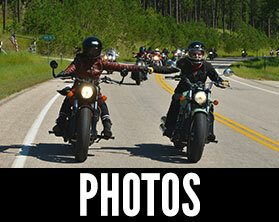 The Biker Belles program continues to evolve as riders’ interests and passions continue to change.